It’s been around six months since the members of 2AM unofficially split up with Seulong and Jinwoon leaving JYP Entertainment and joining other agencies. While there is no word yet whether 2AM will really be disbanded, the members have all been busy with their individual activities. 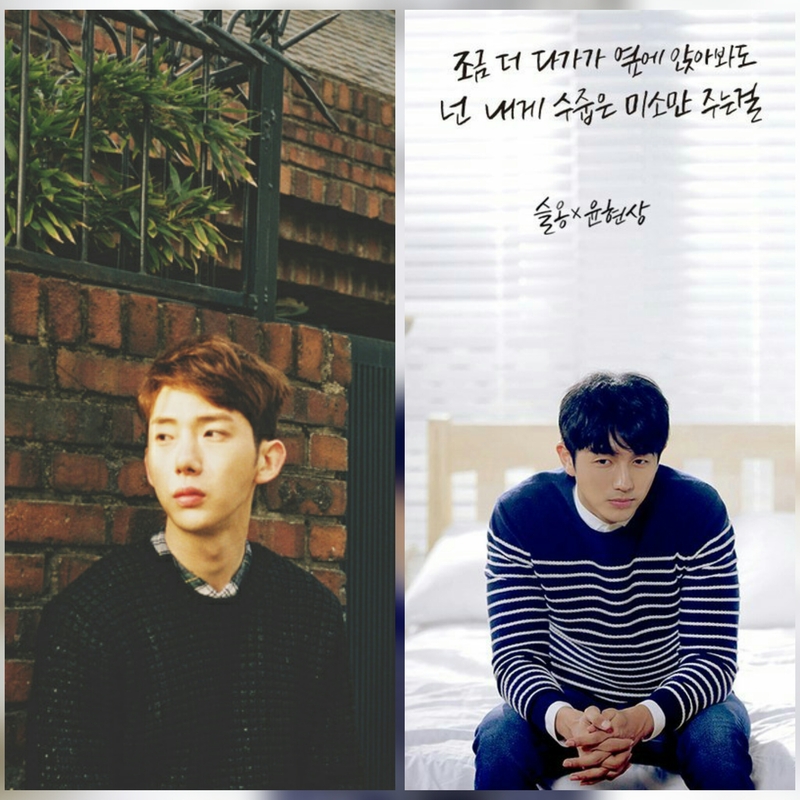 In February alone, members Jo Kwon and Seulong both released new songs which were unique in their style and genre but still shared some characteristics that represent their identity as 2AM members. 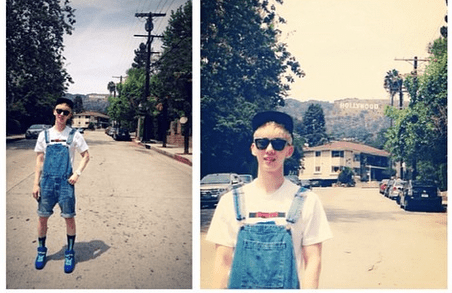 Jo Kwon renewed his contract with JYP Entertainment last August, and with his latest solo release “Crosswalk,” this seems like a great decision on his part. Coupled with a gorgeous monochrome music video starring EXO’s Suho, “Crosswalk” is a beautiful ballad that manages to distinguish itself from other songs of the same genre. The music video has a melancholic feel and is reflective, especially as the male lead imagines what could have happened if he had gone back to find his lover instead of leaving her as he had originally done. The split screen isn’t something that is seen often in music videos but it works here in conjunction with the storyline and the lyrics of the song. Jo Kwon’s skilful high notes are emotive and his voice really adds a layer of depth to the repetitive lyrics of the song. Jo Kwon has always been an outstanding singer as a soloist and in 2AM, but this simple song really allowed him to showcase his vocal prowess. The instrumentals of this song are pretty perfect as well, with a lovely piano introduction and the gradual addition of other string instruments as the song intensified and reached its emotional climax. In comparison to his previous solo efforts like “I’m Da One,” “Crosswalk” might seem a little dull and boring. However, this song also symbolizes a return to his roots as a ballad singer for Jo Kwon. “Crosswalk” is the perfect song to listen to if you want to have a good cry. Seulong, who switched agencies and entered Sidus HQ, the home of many other Korean celebrities such as Kim Woo Bin, also released a single earlier this month. Unlike Jo Kwon’s release however, his was a collaborative effort with singer-songwriter Yoon Hyun Sang. “On The Way To Love” is an R&B based duet which equally features the vocal and songwriting talents of Yoon Hyun Sang and Seulong, who both had a part in the creation of the song. The relaxed yet romantic feel of the song made it perfect for a Valentine’s Day release, and lyrics such as “Today, I feel like something will happen, I’m with you, You’re the star of today,” really enhanced the beauty of the release. This collaboration was special because both singers were fans of each other, and this mutual appreciation can be felt through their respect for each other as artists in this release. Both ballad singers have similar high pitched and smooth voices, although Seulong has a higher register and Yoon Hyun Sang has a slightly more emotive voice. They matched and worked together well as can be seen by the melodious harmonies that were created in this song. While there is no official music video that accompanies this song, the two singers released a special band performance video which more than showcases their amazing live vocal ability. Seulong isn’t new to R&B songs or experimentation, as evidenced by his previous solo releases “7377 ME B43Y” and “Mood Swing,” so it is good to see him further expanding his horizon and collaborating with more artists. This was something that he had been doing throughout his career in 2AM, whether it was working with female artists like IU or with other ballad singers like Shim Hyun Bo or even indie artists like Epitone Project. In this aspect, Seulong has had more experience than fellow 2AM member Jo Kwon, and now that he has left JYP, it seems that Seulong has more opportunities to collaborate with whoever he wants, to put it bluntly. Though it’s bad for 2AM as a group, it cannot be denied that Seulong grows as an artist a lot more when he is on his own as compared to when he is with the rest of the group. 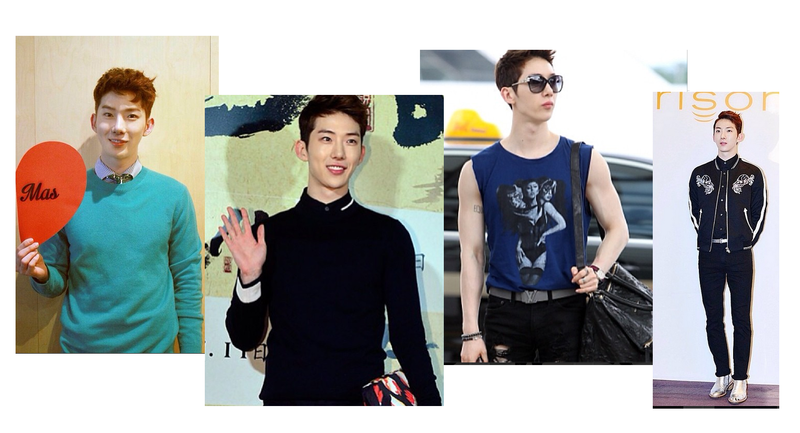 The same can be said for Jo Kwon, and for the other members of 2AM, in the various areas that they are expanding in. Honestly speaking, this is not even a new development. When the group was active the four members were always busy with their individual activities, whether it was producing their solo music or acting in dramas and hosting variety shows. This was the way they ensured their continual self-improvement and perhaps also the reason why their combined work has been of a consistently high quality. It would be a pity if 2AM really disbanded for good, but with the solo work that Jo Kwon and Seulong have put out so far, this will definitely not be the last the K-pop world will be hearing from these talented musicians and singers. Have you listened to both these songs? 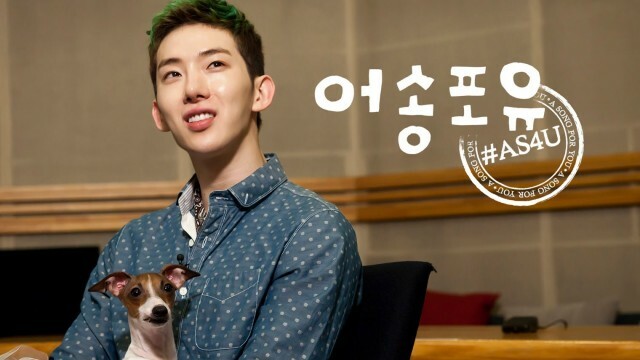 What do you think of Jo Kwon and Seulong’s work as soloists? Share your thoughts in the comment section below and be sure to subscribe to the site and follow us on Facebook, Twitter, Instagram, and Tumblr to keep up with all of our posts. 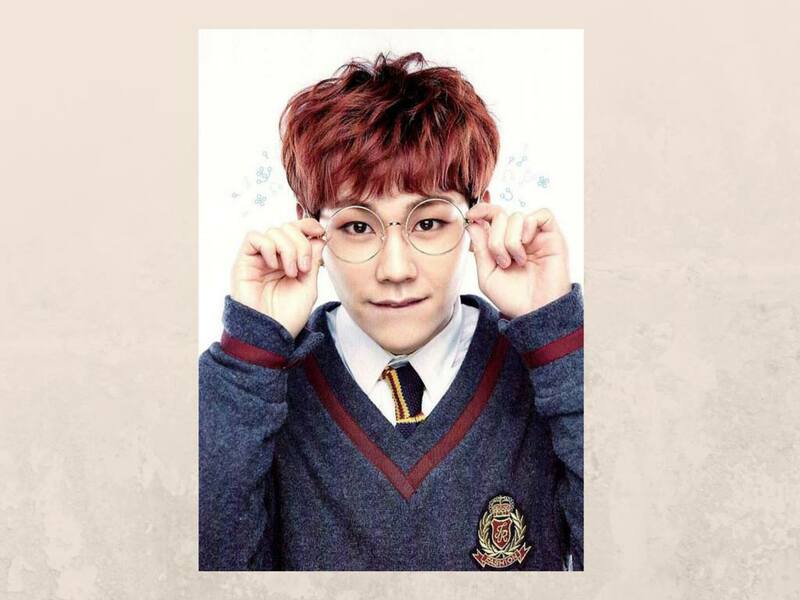 K-pop may be crazy about “Harry Potter.” The most popular work of fiction in the past era has been, without a doubt, the “Harry Potter” book series. 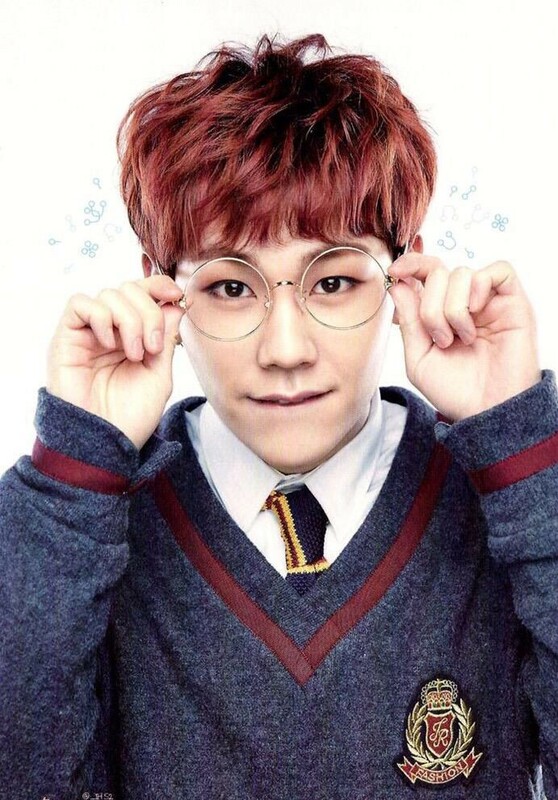 The popular book and film series inspired some of Korea’s top musicians to write songs featuring “Harry Potter” tropes. When one of the best singers in K-pop tells you to dance, you do just that. The title of Junsu’s “Tarantallegra” is taken from the spell that makes people’s feet dance uncontrollably. The song was Junsu’s first as a soloist, and the title of his first solo album. It’s a dramatic song and music video, with a rap by Flowsik, and Junsu lives up to the name of the song by putting on one of the best dance performances in the history of K-pop. The song makes it very clear that music is everything for Junsu, as shown by the repetitive question, “what music would you listen to?” and “tarantallegra, be intoxicated with music.” The lyrics were written by Junsu’s twin brother Juno, giving it a deeper personal touch for himu. And as for the music video, well, there’s a magically beautiful woman who makes an appearance when Junsu decides to change things up. Without a doubt, “Tarantallegra” is a piece of wizard art. A fast paced, techno dance song from the leader of 2AM was the total opposite of the group’s usual vocally expressive songs. 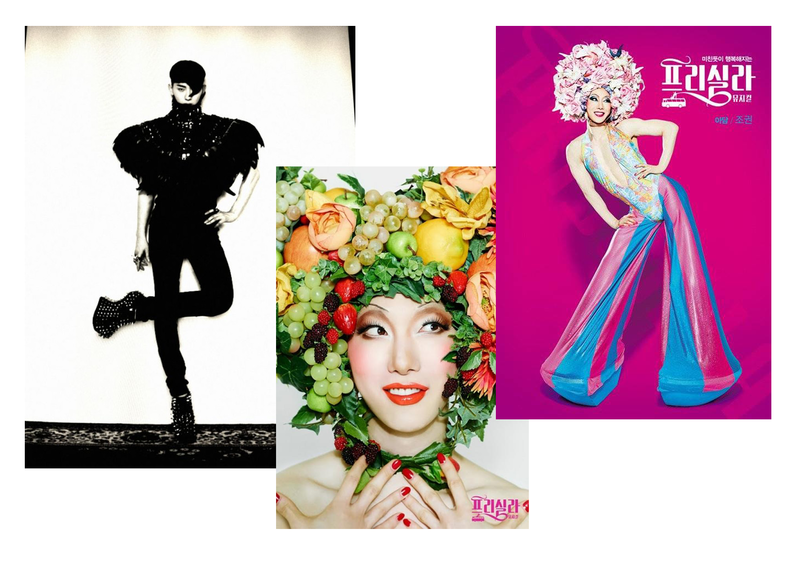 However, the ever flamboyant Jo Kwon is a perfect fit for the bright dance song. 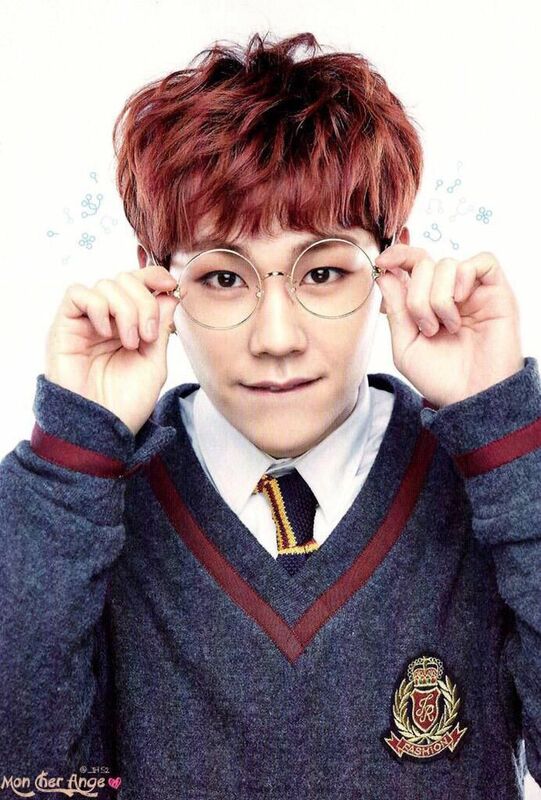 Although it wasn’t the title track on his “I’m Da One” album, “Wingardium Leviosa” is built around a “Harry Potter” spell. In “Harry Potter,” “Wingardium Leviosa” is a levitation spell that helps objects fly. And to Jo, that means an opportunity to play around. “I will make you fly” and “Let’s fly over there, follow me, let’s try, memorize this spell” are pretty straightforward lyrics, but Jo goes above and beyond and turns the spell into a verb, “The mood is wingar.” Whatever that means, we love it and want to be feeling it. Soloist IU is as great as usual in a Latin inspired song “Obliviate.” With whispers of the memory removal spell, the meaning of the song is clear from the very beginning; the singer would like to remove her memories of a past relationship after it is over. IU takes a bitter take on the spell, singing, “In the end, I cast the nonse spell of making bad memories disappear and having good memories stay” in a tone of voice that implies that it’s an impossibility. “Head, obliviate, heart, obliviate,” she sings. While other artists use “Harry Potter” for inspiration, IU’s song is the epitome of all of us “Harry Potter” fans out there, who wish we could use our favorite spells in our daily lives. And, as a fun bonus, even though it’s not a song, here’s Super Junior-M’s Henry getting yelled at on “Strong Heart” for mispronouncing Hermione’s name. Which K-pop act do you want to make magical songs with? Share your picks in the comment section below and be sure to subscribe to the site and follow us on Facebook, Twitter, Instagram, and Tumblr to keep up with all of our posts. 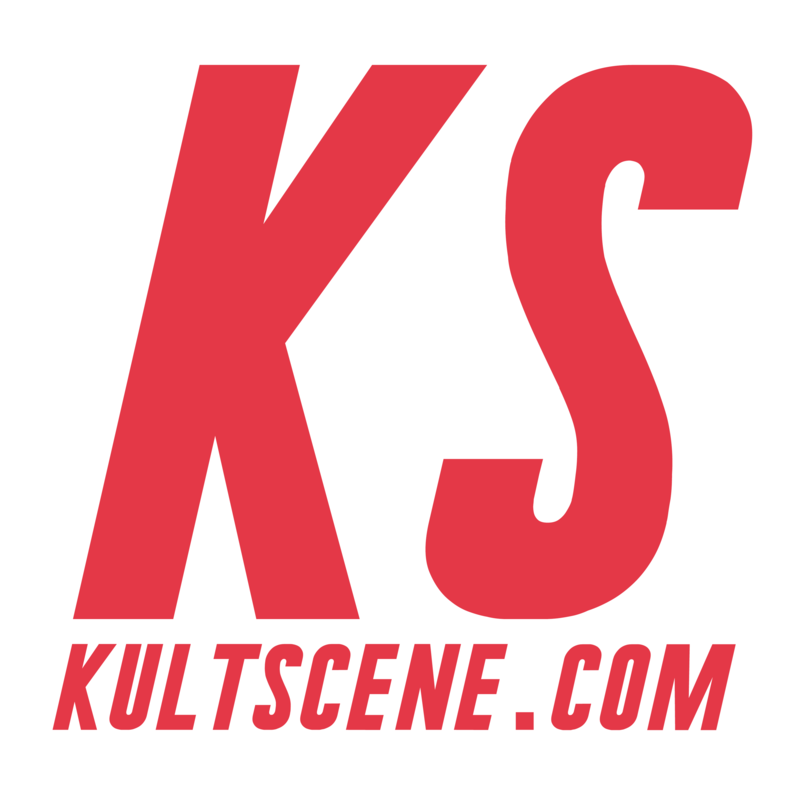 This week, KultScene’s staff highlights some of our favorite animal-influenced songs. While some songs are more closely related to animals, whether it be their title or the outfits that the singers wear while performing or the lyrics of the song, these six songs from TVXQ, EXO, T-ara, and 2AM’s Jo Kwon will hopefully make you think of the animal kingdom. “What are you supposed to be?” “I’m a mouse, duh.” Oh, Mean Girls. T-ara’s Bo Peep Bo Peep is a bit along the same lines, just with some adorable ears, tails, and gloves. The song’s addictive hook and catchy dance led to much success from T-ara in 2009 when the song was released, and became the song that the group debuted with in Japan in 2011. So Little Bo Peep is actually the shepherdess of the sheep, but T-ara’s dressed like cute cats, so it definitely counts, right? My pick for this week’s Playlist Sunday is not a literal translation to animal. EXO’s Let Out The Beast uses adjectives that describe animals, such as “instinct”, “gazes”, “unleash the beast” and so on. These words describe the animal within us and EXO urges everyone to let it out and to have a great time while living your life. Let Out The Beast has a great beat and infectious chorus that makes it easy to sing along to and to get pumped up for whatever it is you’re doing. So unleash your inner beast and enjoy everything life throws at you. TVXQ’s “Balloons” is a single off of their 2006 album “O-Jung.Ban.Hap.” This song and music video is extremely bubbly and upbeat and can attract viewers of any age group. When this first came out 8 years ago, it was targeted towards the younger generation, hence the adorable animal outfits and cute choreography but it was also a reminder for the older generation of their forgotten youth. When you’re young, all you want to do is to “grow up” and do all these adult things that you see people around you do; you rush through so much of your childhood, so much that the things that use to be important, no longer mattered; that is, until you’re an adult and those memories come flooding back which then causes you to question where the time went. “Balloons” continues to be a reminder for the viewers, new and old, of those beautiful childhood memories and the pure innocence that your childhood contained. Besides the fact that this song can make one feel warm and happy inside, how can you look past the fact that these were grown guys wearing animal onesies?! If there’s any song that expresses one’s inner animal is 2AM’s Jo Kwon’s track Animal. There is no official music video for the song but Jo Kwon fiercely performed in a very avant-garde look. 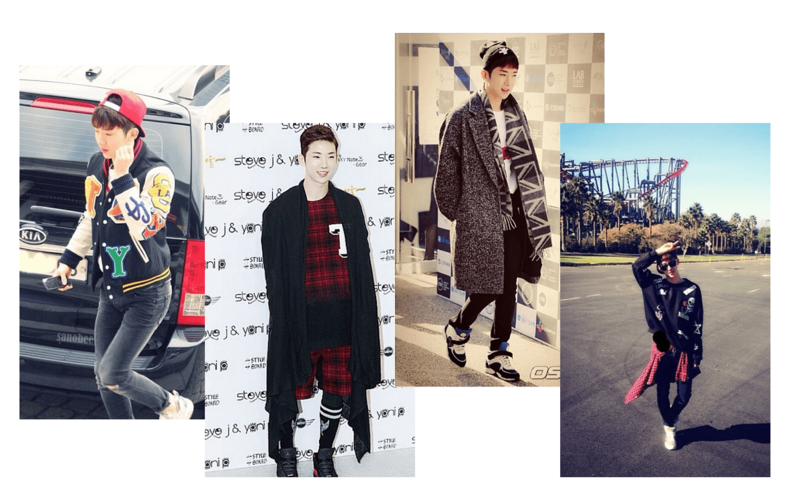 Decked out in feathers, leather, and Jeffrey Campbell’s heel-less shoes Jo Kwon defined the norms and fully expressed himself with his fashion. The track is perfect for a night out to “turn up” with your friends. Plus the song features pre-debut BTS J-Hope which adds that roughness that was needed in the song. The first time I heard TVXQ’s Yunho’s solo Honey Funny Bunny at their Catch Me World Tour, my lust for him awoke. I was covering the event for an outlet and I was barely getting acquainted with the group, and I couldn’t believe Yunho was making those movements on stage. To say my jaw dropped to the floor in surprise and excitement is an understatement. But despite the very sensual choreography, the song is actually pretty cool too, being an endearing ode to his “bunny.” The smoothness in Yunho’s vocals made me think that R&B is his genre; Honey Funny Bunny is baby making music at its best. More EXO here but this time it’s their best song, Wolf. You heard me right, their almost universally hated second single is my favourite EXO song and was one of my favourite’s of 2013. The reason I like it so much is because from those first few flute notes to the last ‘awoos’ I had no idea where this song was going to go. Each moment surprised and delighted me and made me want to keep coming back to get my head around it. The wolf concept is used well in the dance and lyrics, despite their cheesiness at times (get it?). EXO’s movements are animalistic and they come off with great energy on stage when performing. Each part of this song is executed in an abnormal fashion but comes together to create a complete performance in true S.M fashion. Did we forget any “animal” related songs? Share your thoughts in the comment section below and be sure to subscribe to the site and follow us on Facebook, Twitter, Instagram, and Tumblr to keep up with all of our posts.